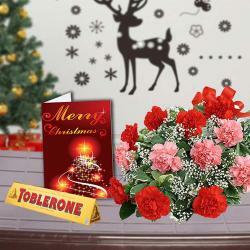 Product Consists : Bouquet of 12 Mix Flowers like Gerberas, Carnation and Roses with green filliers, 1 Kg Plum Cake along with Christmas Greeting Card. Talking about gifts for Christmas, one thing tops the list and that is the Christmas special Cakes. 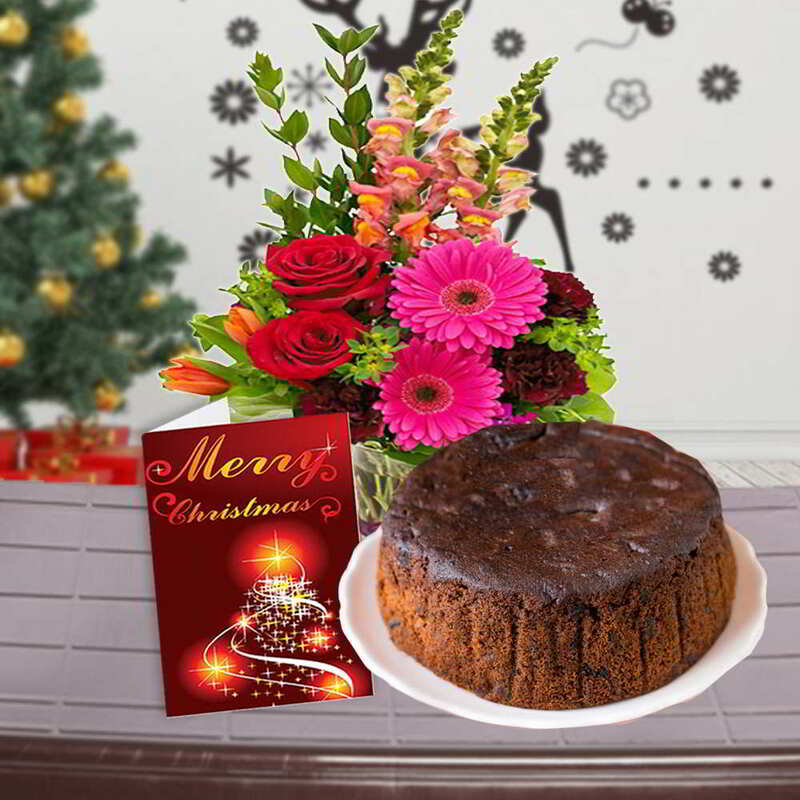 Plum Cakes are one of the most loved things during Christmas which is why; we have incorporated delightful plum Cake in this hamper along with a bunch of mix flowers and Christmas greeting card. 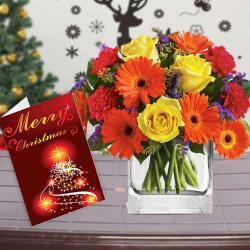 Express your heartfelt emotions easily with the Card and make memories that live forever. 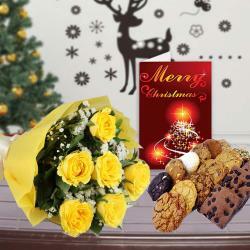 Your loved ones will be more than happy to receive the hamper sent with so much love. 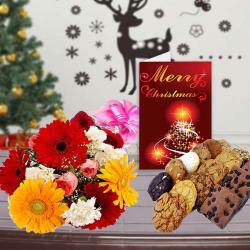 Product Consists : Bouquet of 12 Mix Flowers like Gerberas, Carnation and Roses with green filliers, 1 Kg Plum Cake along with Christmas Greeting Card.